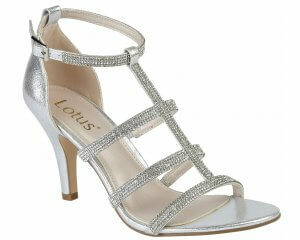 Lotus Flink 50847 women's evening shoe. With diamantes enhancing the intricate laser cut out detailing, this gorgeous 8.5cm stiletto heel will definitely turn heads. Available in both black and pewter, this shoe also has a matching bag available, please see Lotus Flicker 1731.